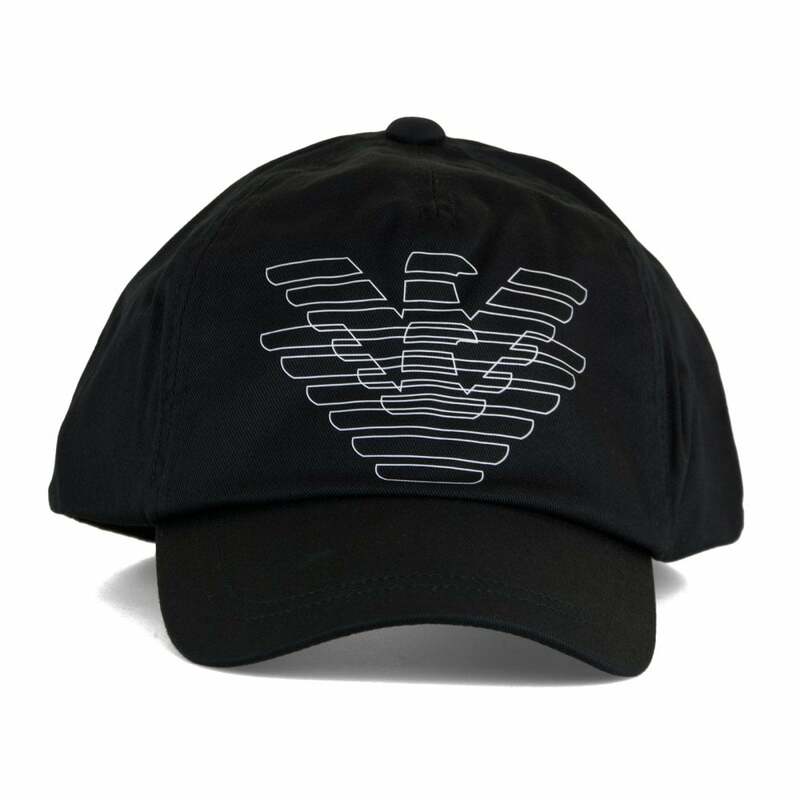 This Armani Juniors Eagle Print Cap is 100% cotton and is black in colour. It has an adjustable snap strap at the back. Emporio Armani branding appears as a white eagle logo on the front.